SOLD 08/12/2010. $860,000. 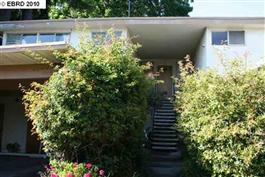 Originally listed for $775,000. Fabulous 4-plex near Monterey Market! Exceptionally quiet and private. Enormous shared backyard. All units have fireplaces. Upstairs have decks, downstairs patios. 4 Carport spaces and storage rooms. Walk to BART, shops and restaurants on Hopkins Street.